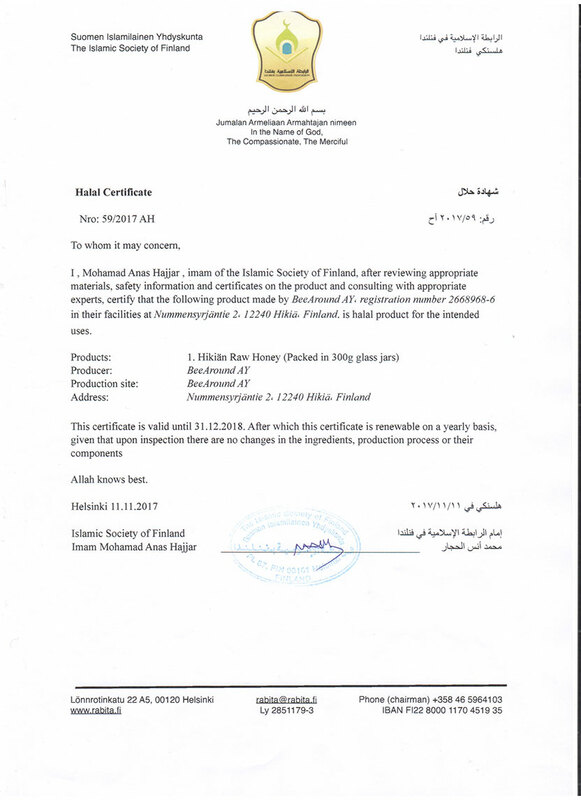 Halal Certification was admitted to Hikiän Raw Honey 11th of December by The Islamic Society of Finland. Certification was signed by Imam Mohamad Anas Hajjar. Hikiän applied Halal Certification to certify production methods and add more knowledge to customers about Hikiän products. Certification will be valuable for customers who wants to be sure that production is following Halal Certificated methods. Halal Certification will be added to website. It will also be noticed in Hikiän Social media channels.